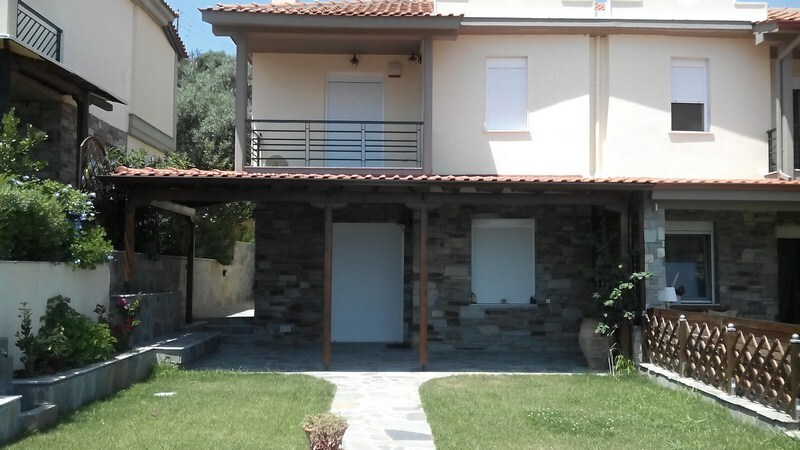 Landscapinng in the area of Chalkidiki with bbq and shelter. 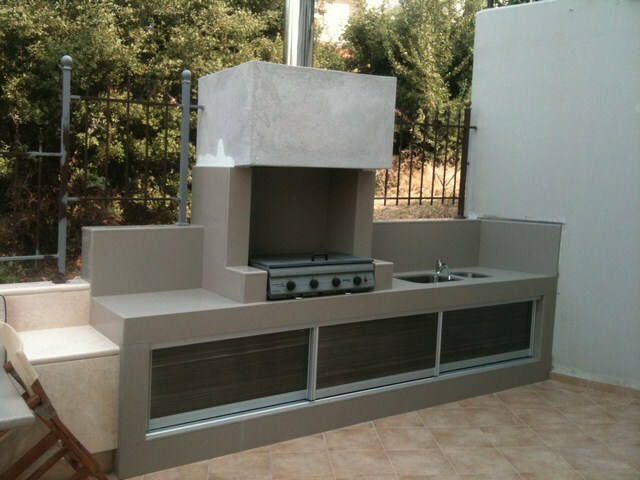 Granite bbq with a sitting area and a sink. The sitting area is all marble porolithos.